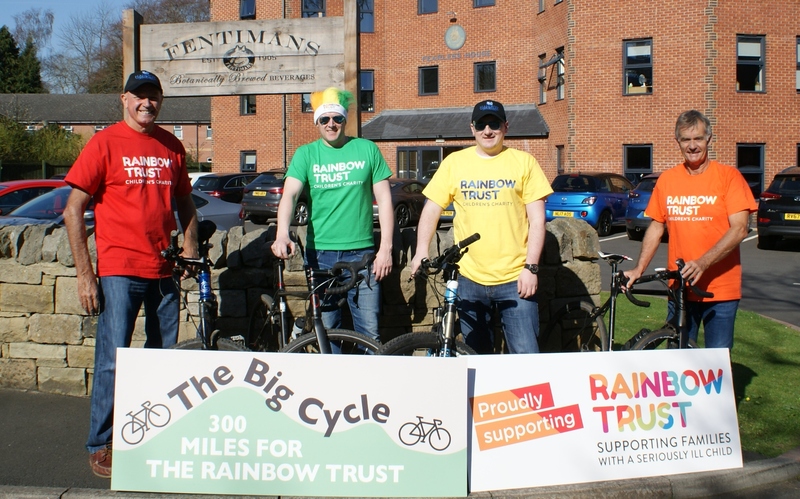 Hanover Dairies have teamed up with Fentimans and are taking on a gruelling 300 mile bike ride to raise money for Rainbow Trust. A team of four will cycle from Hanover Dairies offices in Newcastle to Rainbow Trust’s head office in Leatherhead, Surrey. The team are on a mission to raise an incredible £30,000 which would support 12 families for an entire year. Rainbow Trust would like to say a huge thank you to both Hanover Dairies and Fentimans for their continued support and wish them the best of luck with their challenge in June. We are looking forward to a welcome reception at our offices when they arrive! Alan Robson is broadcasting his show live from Hanover Dairies HQ on 28 June ahead of the start of the Big Cycle Challenge. You can listen to the show from 10pm - 2am on Metro Radio. If you wish to sponsor the team for their efforts then please follow this link.